Factory for REmatrix, Impulse response bank from Overloud in the REmatrix series. Overloud now equips all its REmatrix impulse response libraries with a Player and releases a new IR library called Factory. Thanks to the new REmatrix Player, Overloud gives anyone who doesn’t want to purchase the REmatrix reverb the opportunity to use the external impulse responses, including the newly-released Factory. This player features limited editing tools and it will then be possible to upgrade to the full REmatrix software. 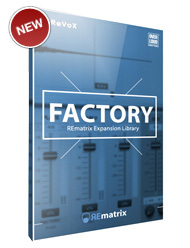 The REmatrix Player is included in the new Factory library, which features over 250 IRs and 500 presets from the original REmatrix collection of effects. 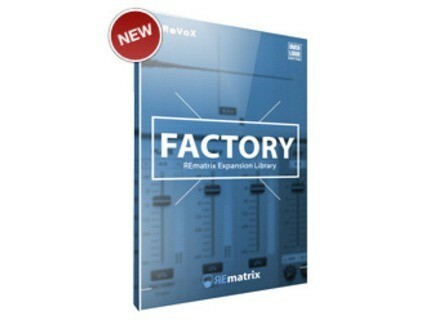 This library is available for the introductory price of $109 instead of $119 and upgrade to the full REmatrix is also on sale for $179 instead of $239. More info at www.ilio.com. The Manny Marroquin Reverb on sale today Waves has a new 24-hour deal on the Manny Marroquin Reverb plug-in, which can be purchased for $29 only. 8Dio unveils Qanun sample library for Kontakt 8Dio is exploring Middle Eastern instrument and is about to release Qanun, a new sample library for Kontakt.